In Japanese, that means “It’s been a long time”, and it has. I spent some of the last month travelling in Japan, some of it travelling home, and the rest of it trying to get used to being in Australia again and catching up on the many jobs which seemed to pile upon me the moment I touched down. I should do a post-Japan wrap-up, but I’m not quite in that space yet. And I have a formal Asialink report to write which needs to take priority. So it’s the briefest of updates this time – to report that I’m writing – putting the finishing touches on a new Nathan, Ronnie, and Weasel adventure I hope will become my next novel in the Lightning Strikes series for Walker Books; that I’m getting ready for Children’s Book Week – when I’ll be visiting libraries in Nedlands, Rockingham, Fremantle, Subiaco, and Kwinana – and for the Sprung Festival in Albany, where I’ll be visiting schools and reading poems and leading workshops; and that I have just signed the contract for a new junior novel, working title Surface Tension, which is scheduled for release in February next year and which means I’ll be spending the last part of the year down the dark rabbit hole of revisions. Here’s a word cloud I made for Surface Tension. 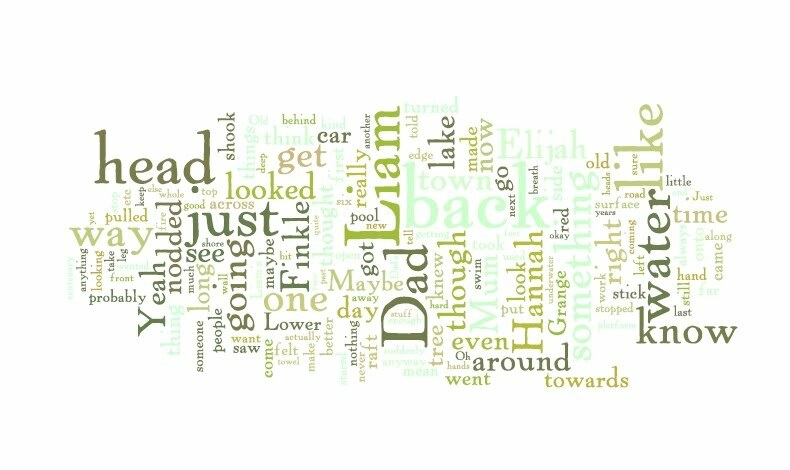 I love plugging my manuscripts into Wordle for a bit of fun. Take a look and see if you can hazard a guess at what it’s about. And if you work it out, let me know. It will make those revisions go a lot faster! This entry was posted in Events, Lightning Strikes and tagged Asialink, Book Week, Japan on August 12, 2010 by Meg McKinlay.